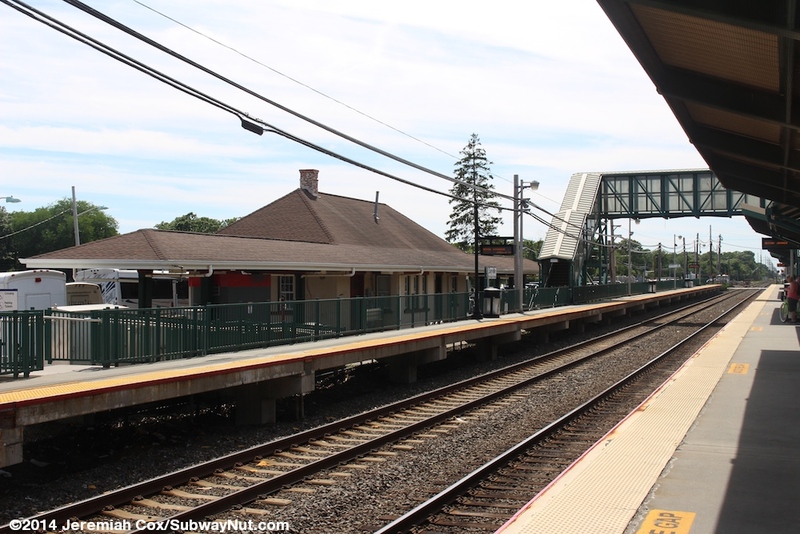 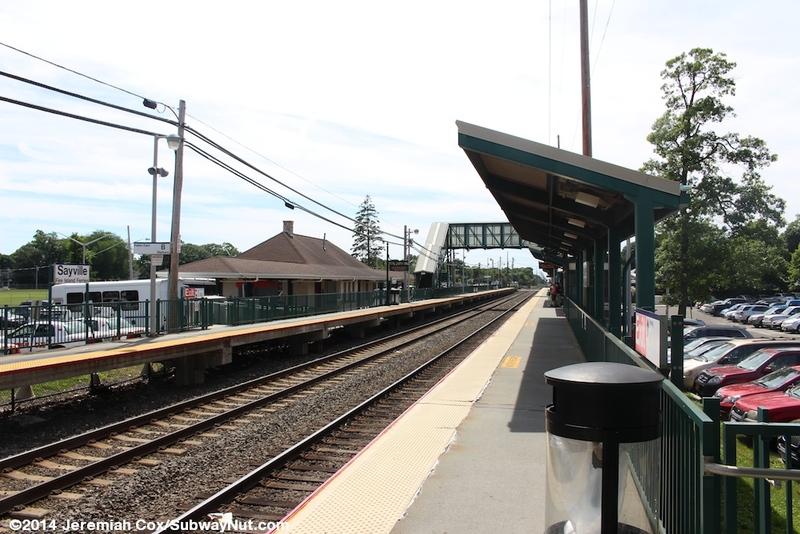 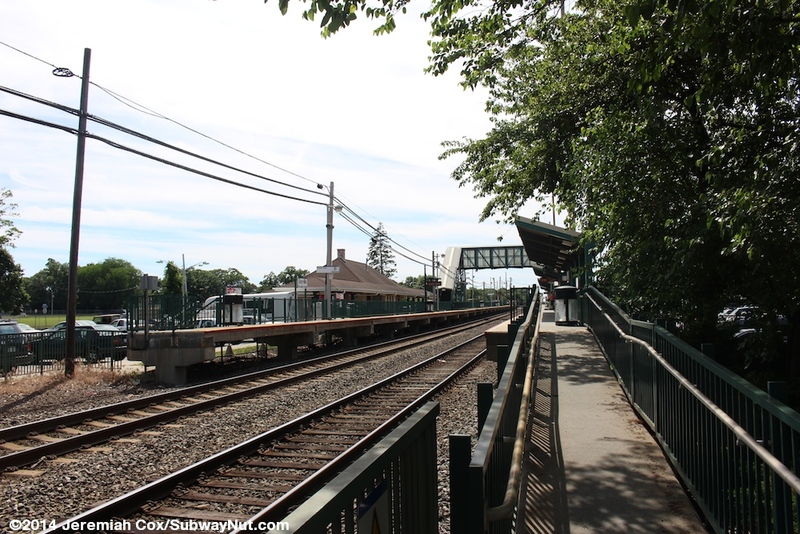 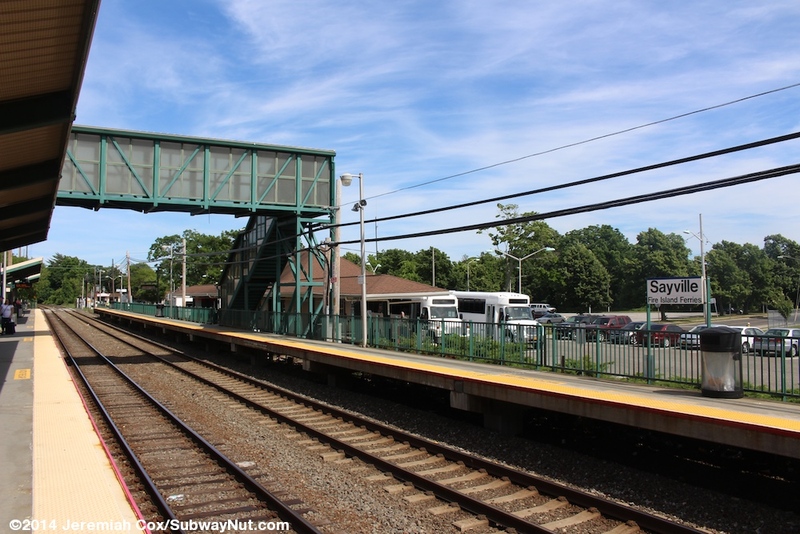 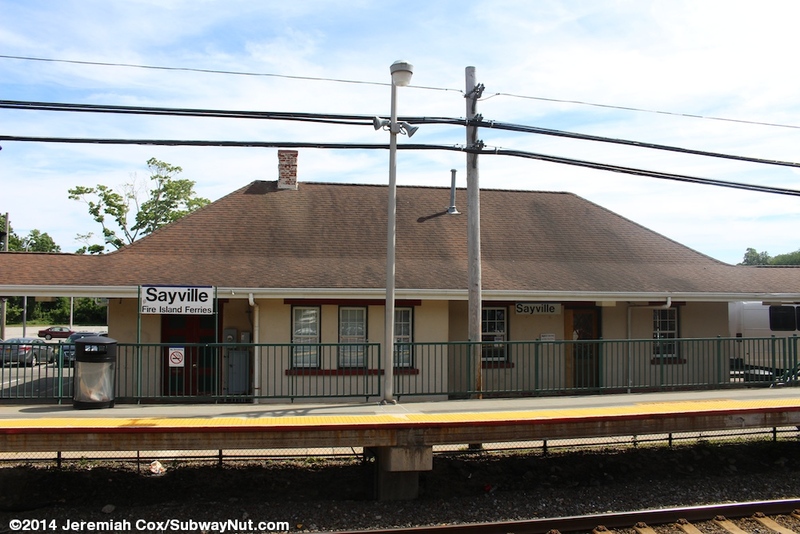 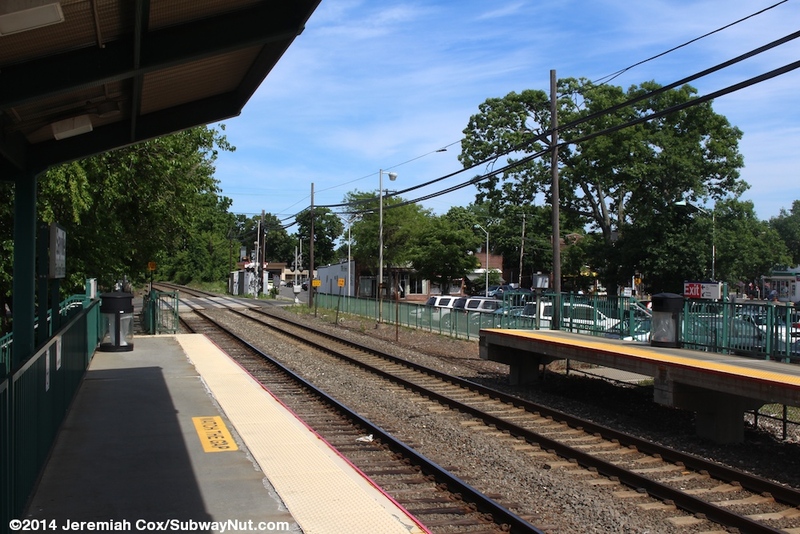 Sayville is the easternmost stop on the Montauk Line with two tracks. 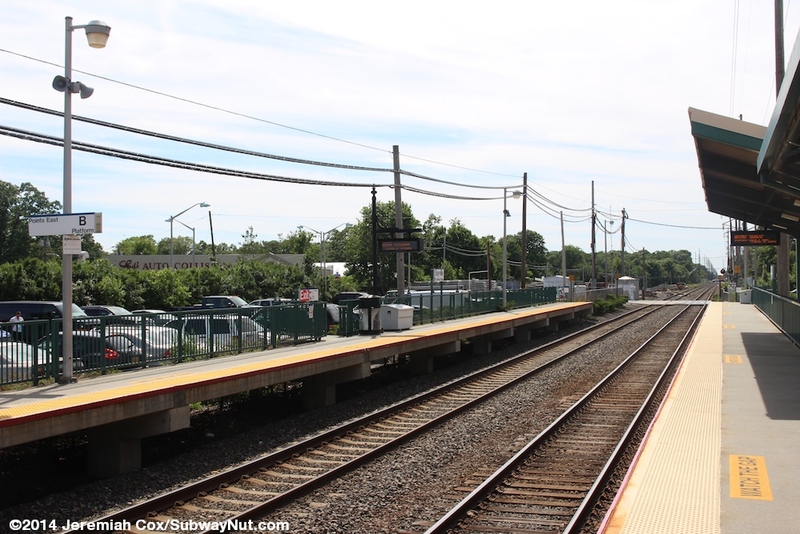 Less than mile East of the station, at Y Interlocking (just before MP 50) the two tracks switch into one and the Montauk Line becomes single tracked, with passing sidings the rest of the 66 miles ton Montauk. 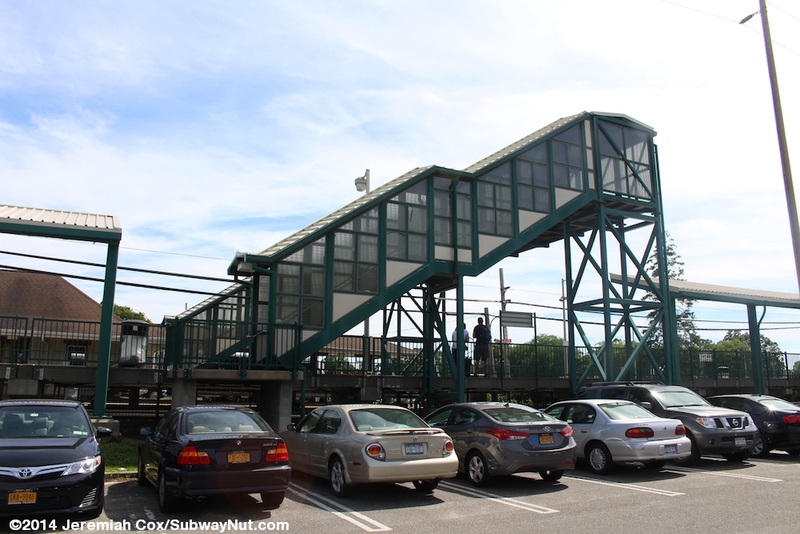 The station itself has two 6 high-level car side platforms built in about 2000. 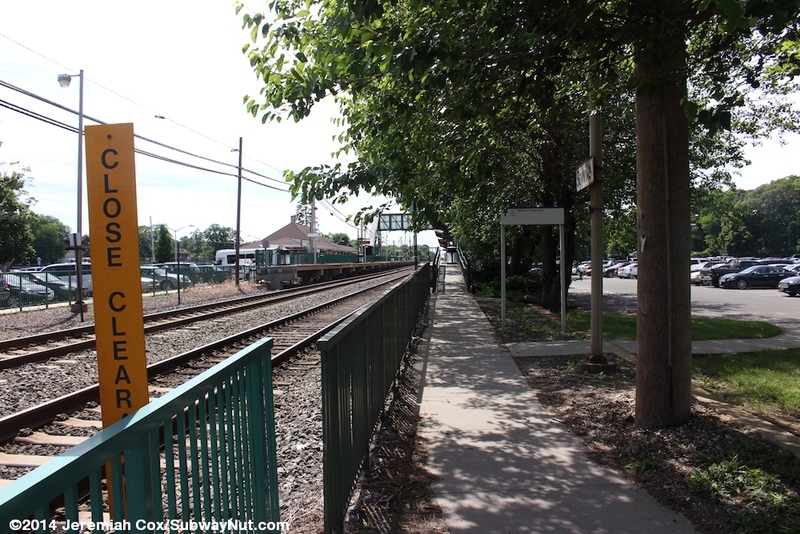 These platforms are nearly exactly inbetween the grade-crossings of Railroad Avenue (east) and Greeley Avenue with about a car length between the platforms and the grade crossing. 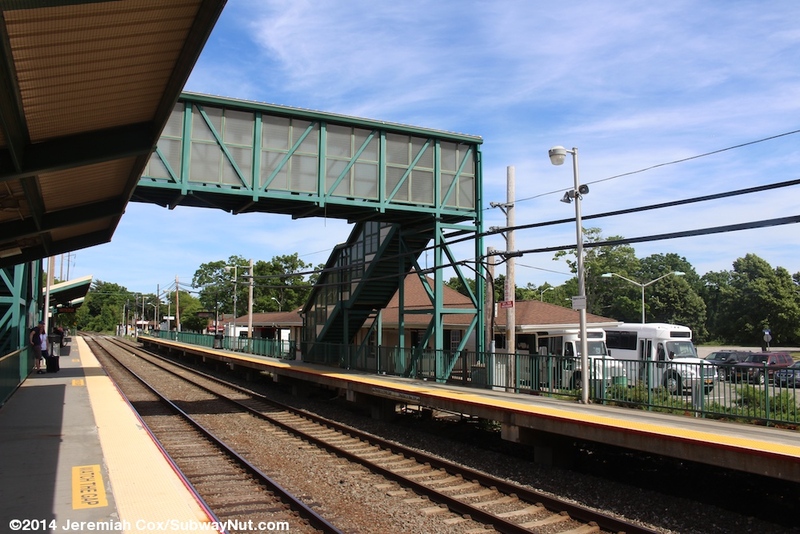 In the middle of the platforms is a simple, modern with a roof and mesh walls pedestrian bridge also connecting them, wheelchair users have to use one of the grade-crossings. 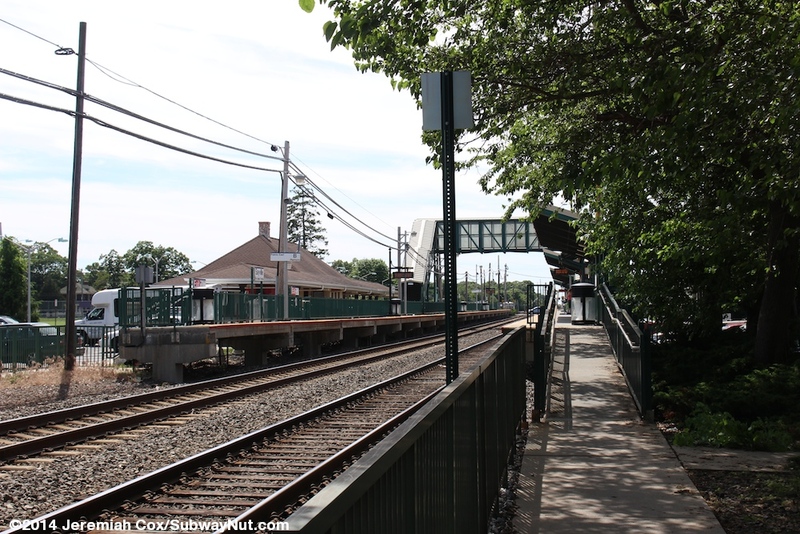 The platforms each have green fencing. 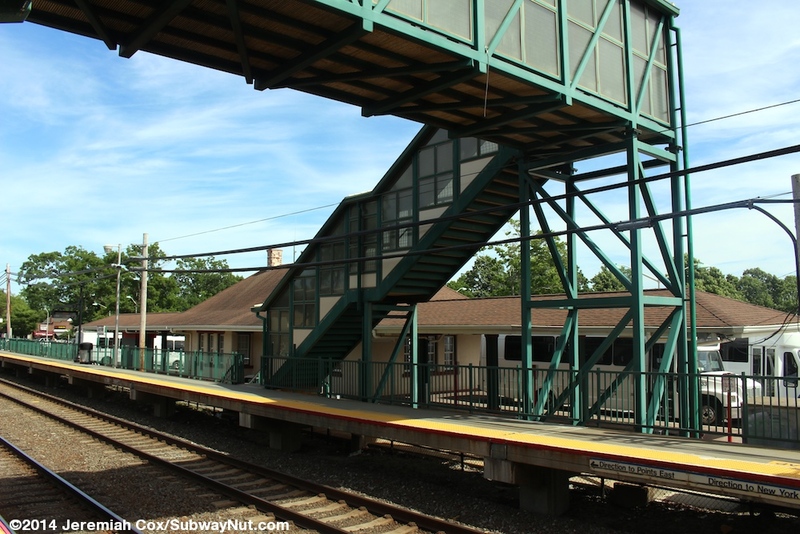 The New York City-bound platform is nearly fully canopied and also has two modern windscreened benches. 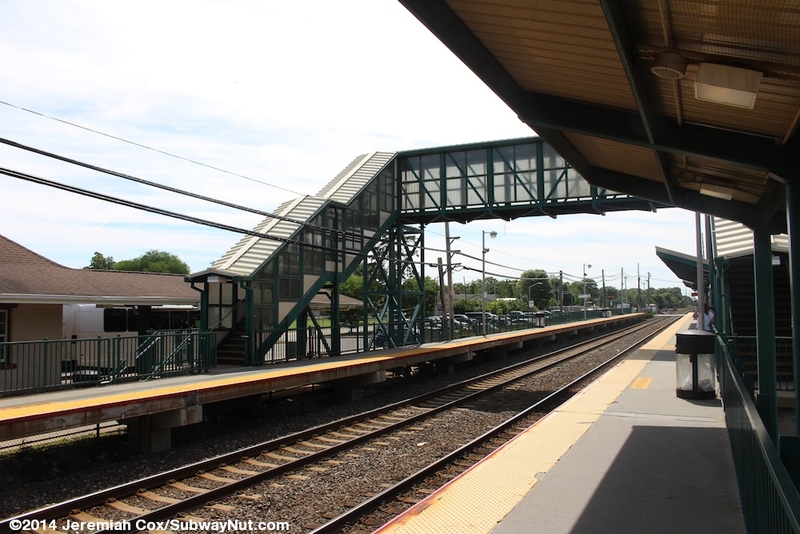 The Points East Platform is completely exposed to the elements. 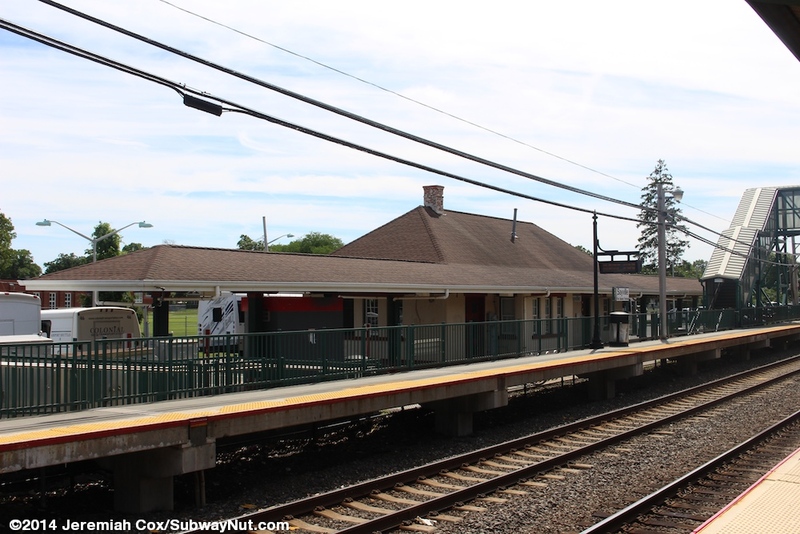 On this side of the station, through is the station's 1906 station house with a chimney and porches that extend along either side proving shelter just not directly on this platform. 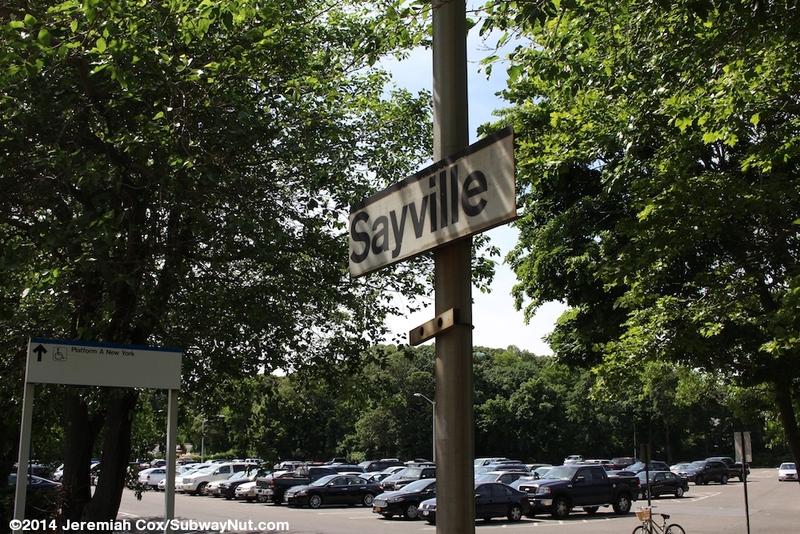 Inside is a small wood paneled waiting room. 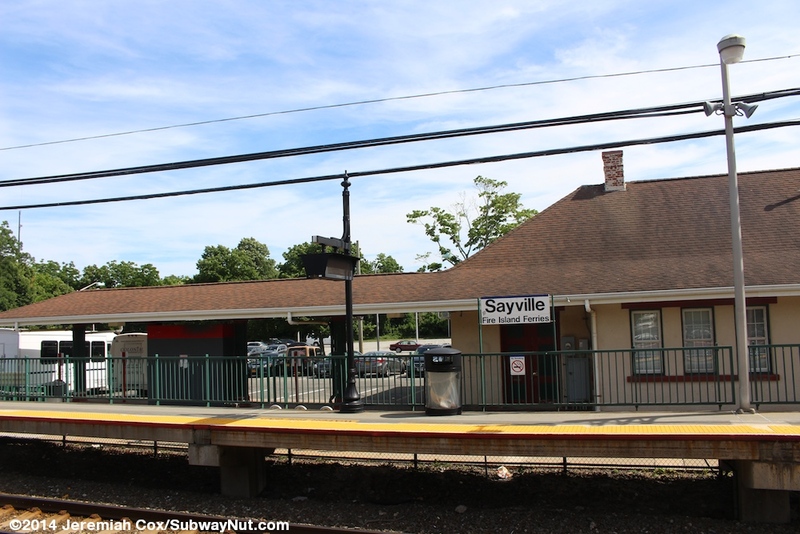 TVMs though are located in their own shelter by the entrance to the New York-bound platform along its parking lot Originally the low-level platforms extended from here to Railroad Avenue (that was the connection between the platforms) and a couple of black Sayville signs are still on the walkway to the modern high-level platforms. 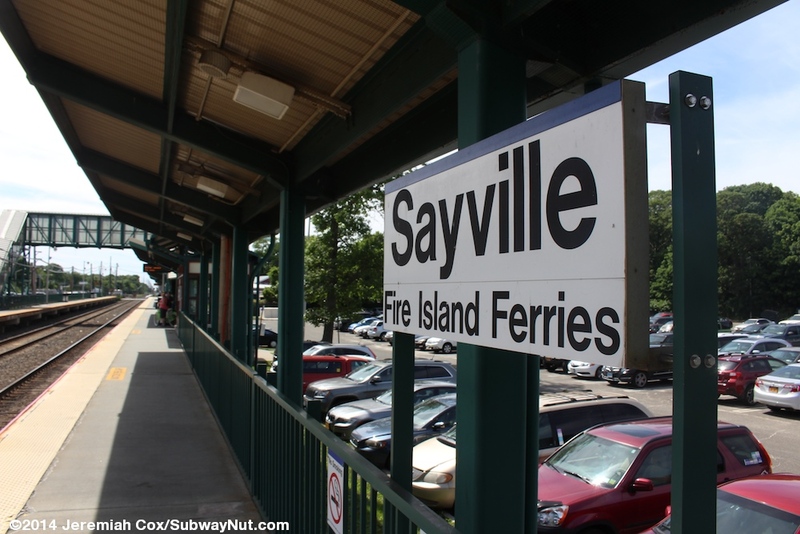 Colonial Taxi is located at the station and their shuttles meet all arriving trains for transiting connecting passengers between the LIRR and the Sayville Ferry Services docks just over a mile away (I visited the station on a Friday afternoon in summer so their were a large number of shuttles) to three of the fire island communities. 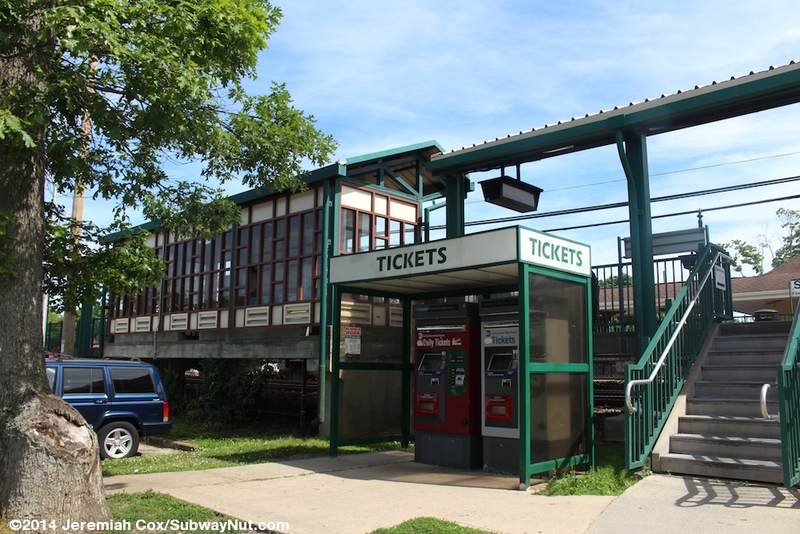 The station's Parking is in relatively small lots. 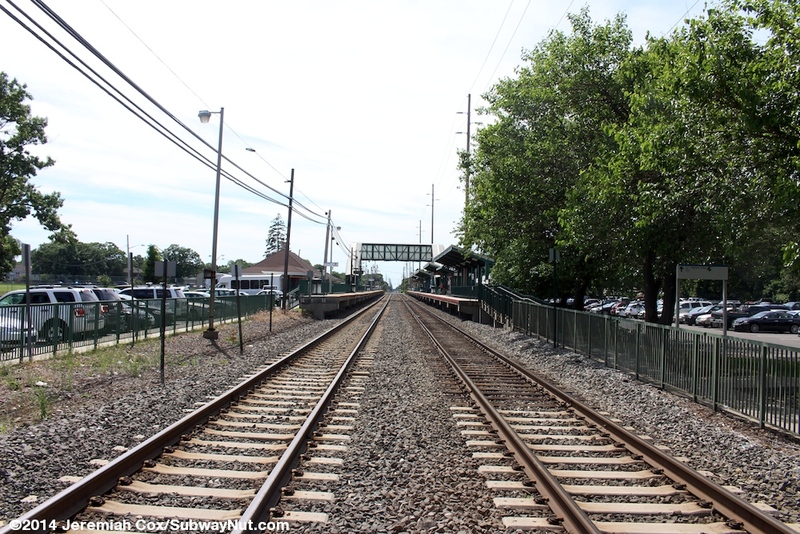 Along the Points East-bound platform it is a single driveway lane between it and Depot Street, the entire distance between the two grade-crossings. 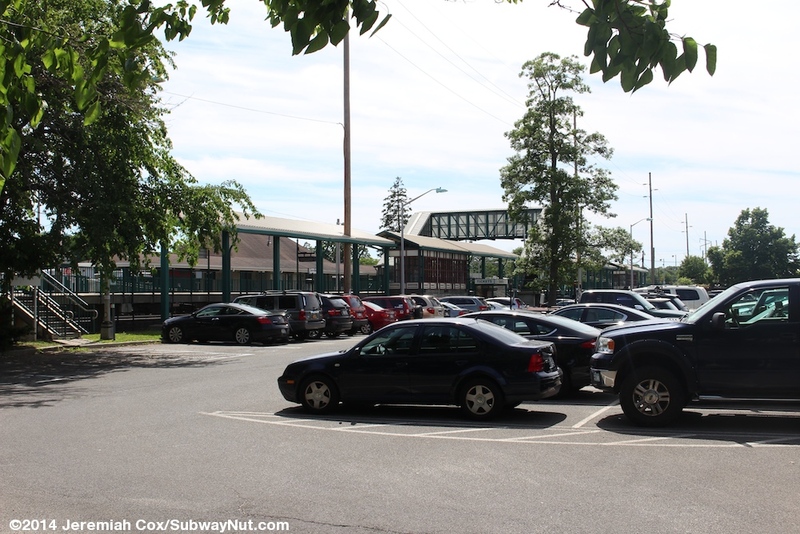 There is a larger parking lot (three rows of cars) along the New York-bound platform that stretches back to Railroad Avenue.